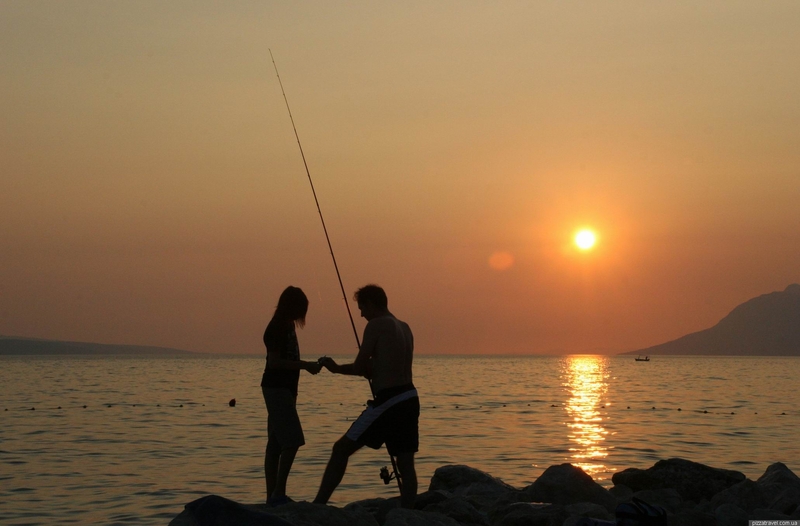 Makarska riviera is the most popular destination among tourists visiting Croatia. 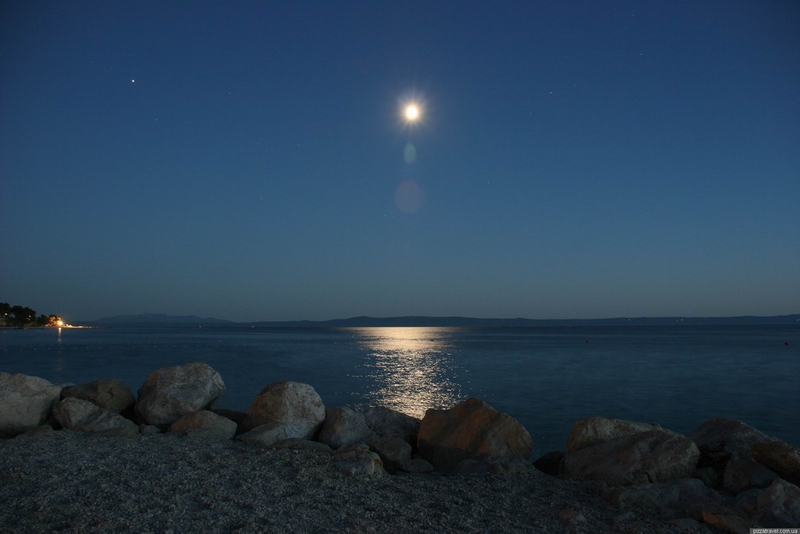 The resort is located in the south of Dalmatia on the Adriatic coast. 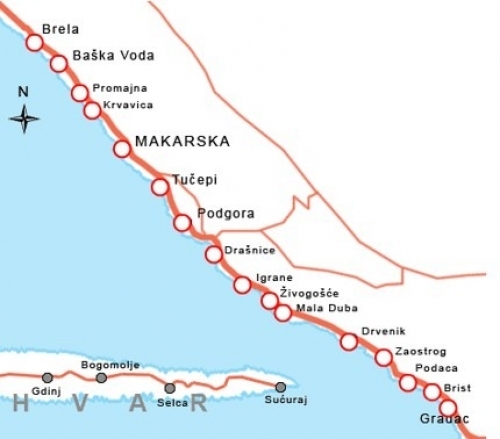 This stretch of the coast is about 60 kilometers. 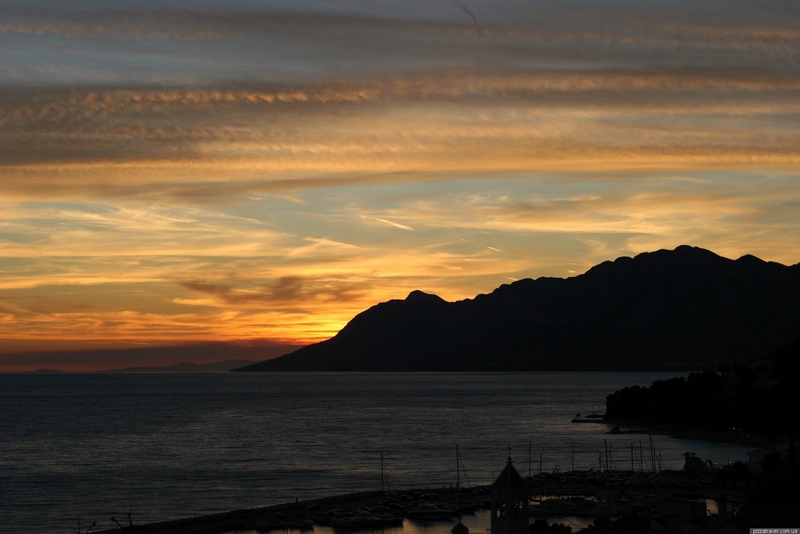 Generally, riviera is any coast with Mediterranean climate (like in Monaco, Nice, Cannes). 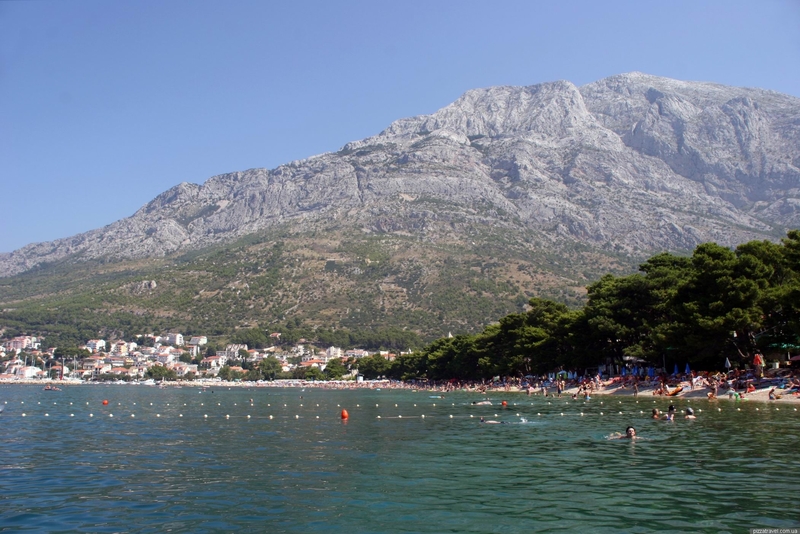 The width of the Makarska Riviera is just a few kilometers, on the one hand it is limited by the sea, on the other by Biokovo mountains, the highest in the country. 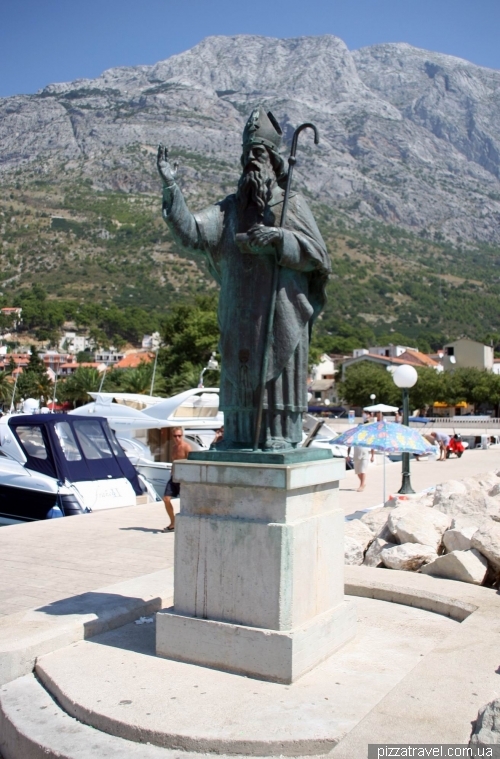 We settled in the town of Baska Voda. All the towns here are rather small and similar to each other. 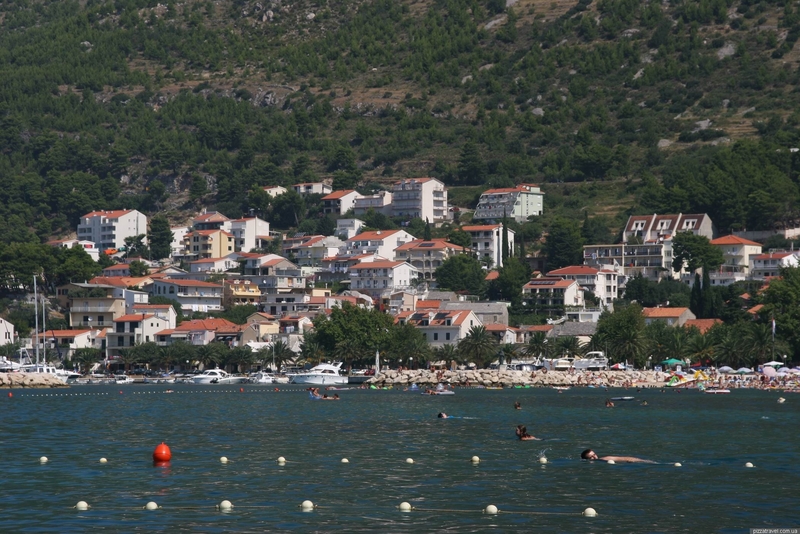 For example, the population of the second largest town on the riviera - Baska Voda, is only 2,000 people. 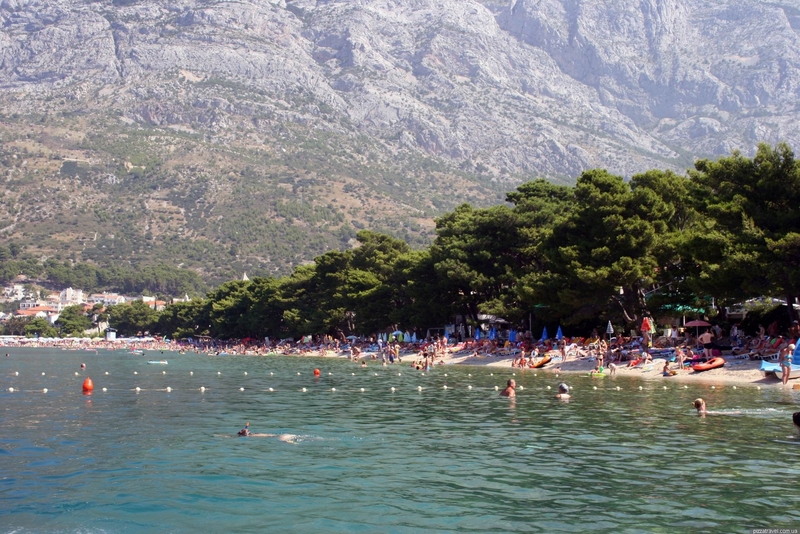 There are two types of beaches in Baska Voda - gravel and sand. In some places coniferous trees grow right next to the shore. Their shade can be used as shelter from the sun and you can avoid using an umbrella. 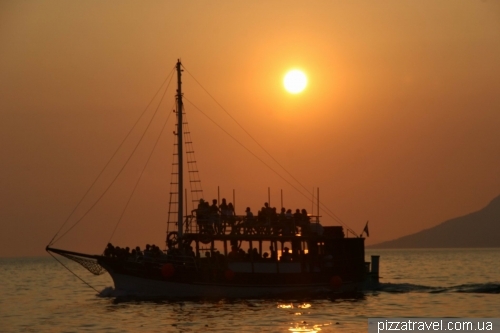 Unfortunately, there are too many tourists on Makarska riviera in high season. Nevertheless, this beaches are the best in the country. 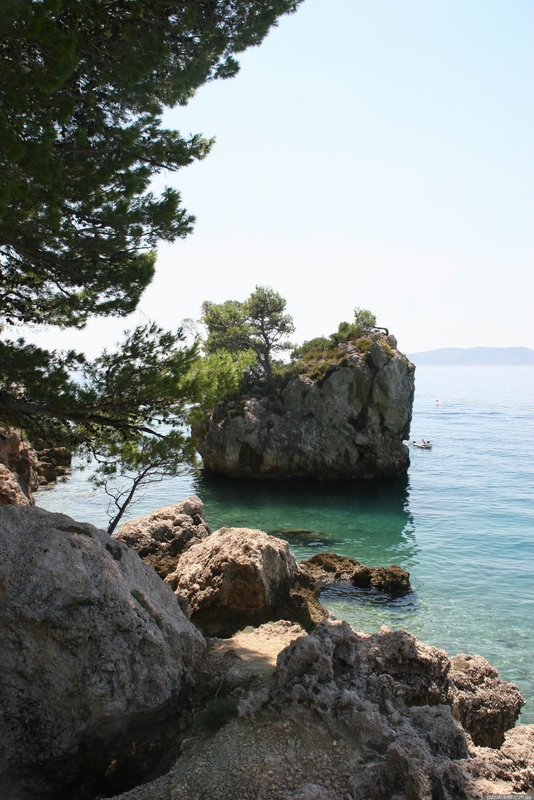 In addition to great public beaches, there is a hiking trail along the whole coast. Actually, I think that this trail is the main attraction of the Riviera. We walked in both directions. 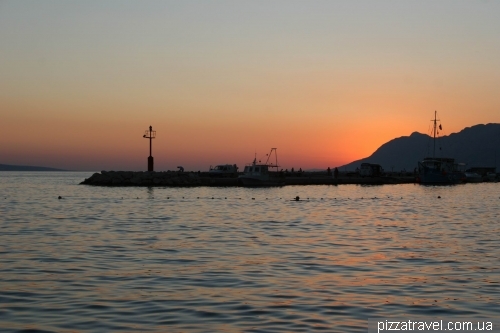 One day to Brela an back (5 km). 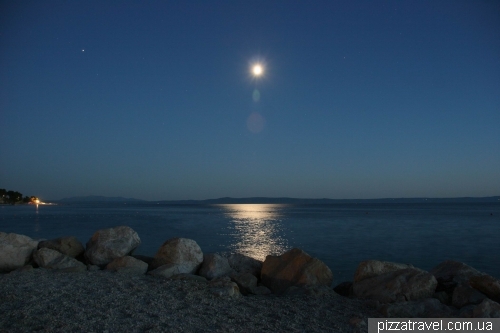 In Brela we swam on a beach "Punta Rata", which is considered one most beautiful Croatian beaches. It was included by the US Forbes magazine amongst the 10 most beautiful beaches in the world, taking sixth place, and was number one among European beaches. 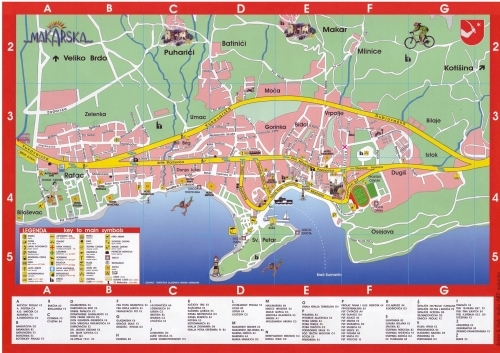 Next day we went to Makarska (10 km), the largest town on the coast with developed infrastructure. To Baska Voda we returned by bus, they run frequently. Sometimes trail passes under the trees, sometimes not. 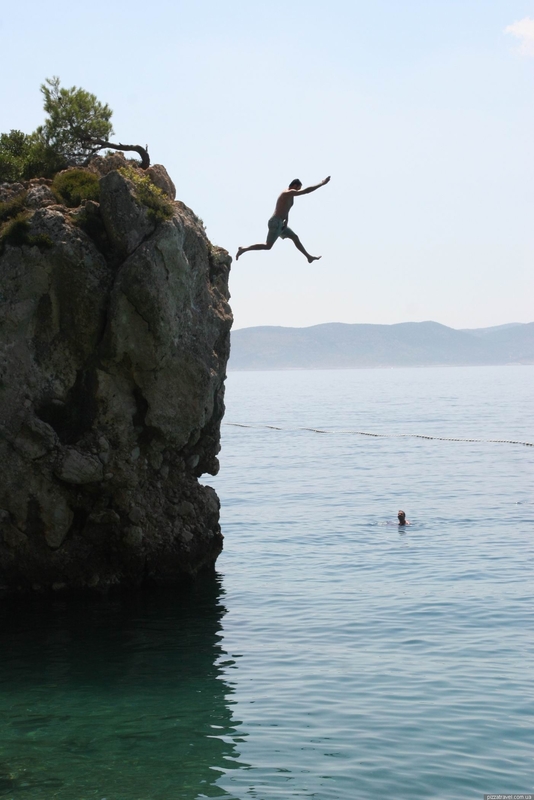 In August it was quite hot, so we swam periodically. There are free showers on the way, which is very convinient. Beaches between settlements are rather deserted, so you can walk outside any town and swim almost alone. However, many of those places are occupied by nudists. 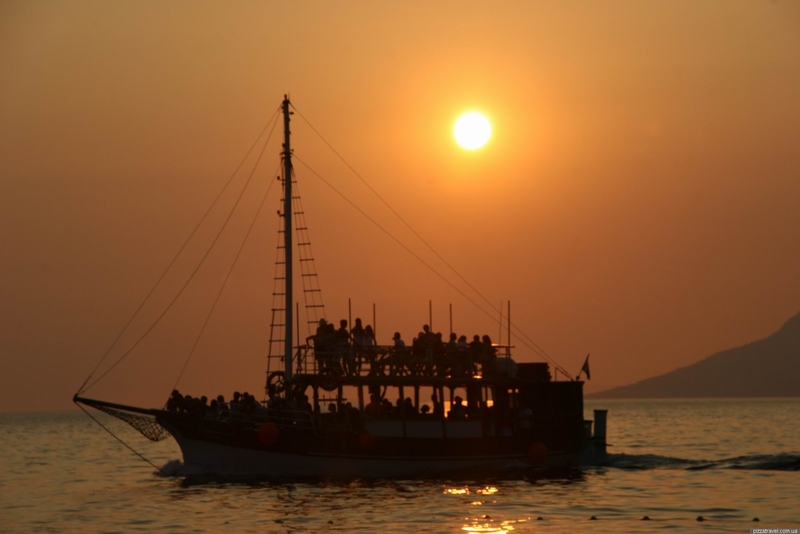 The sun sets over the sea so do not miss the opportunity to watch the picturesque sunset. Getting there: The nearest airports are in Split and Dubrovnik. From both cities Makarska is easialy reached by bus. Bus from Zagreb to riviera runs about 6 hours (schedule). You can also go by fast train to Split (http://www.hzpp.hr/timetable, 6 hours) and then by bus to the riviera (schedule, Split bus station is located next to the train station, on the waterfront). It is important to know that not all towns along the coast have bus stations. 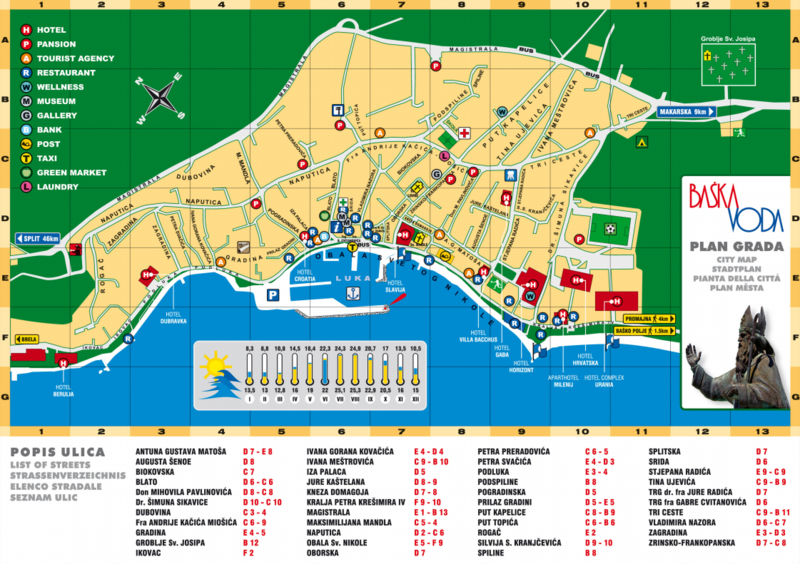 To catch the bus you need go to the road, which is usually in 300-500 meters from the town center.